I soon noticed my 20 month daughter affinity to vehicles. I wanted to give her one where she could sit and enjoy the ride, but currently most powered vehicles for infants require they are able to reach the throttle pedal and properly handle the steering wheel. So I figured out the best way would be to go remote controlled. As I already had done previous projects involving RC gear, it would be piece of cake to turn a regular electric car into a large scale RC car where a small kid could sit inside. 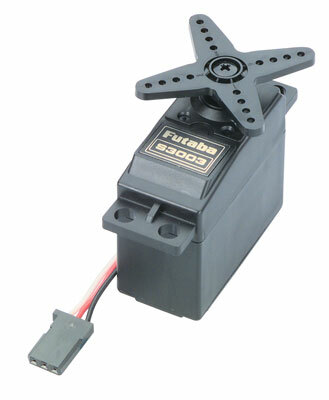 Back to the main topic, I had some broken standard servos among my RC scrap parts. The PCB board inside these servos contain the closed loop control system and the h-bridge dimensioned to power the small DC motor that is part of the servo. The board I grabbed had some of the H-bridge transistors burned, but after some testing I confirmed that the important part for this project, the closed loop control IC was working. I removed the SMD soldered H-bridge transistors and tested the outputs of the control IC (it has one pin for forward and another for reverse direction). Even though not strictly required because of the intrinsic existence of a body diode in these types of FETs, still I added a schottky diode in paralell with each FET to improve the protection against back EMF. I have chosen the 5 A 60 V rated SB560 schottky diodes. 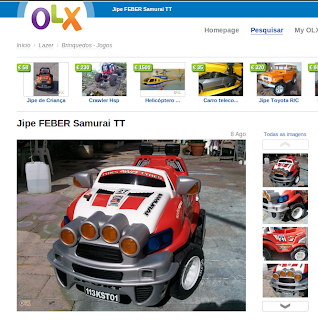 For about €10 it barely covers the cost of the individual FETs it is based on. With an advertised 45 Amp countinuos current capability, even assuming it is an inflated value, there is still a good margin in respect to the maximum current in this application (the car came with a 13 Amp circuit breaker). It proved to work normally, barely getting warm after some use. In its user manual, it was shown that thermal protection (90ºC) and battery voltage protection for LiPo could be enabled. However the downside is that these protections can only be activated together, so in my case (system is powered by Lead-Acid 6 Volt batteries) it does not work to keep both protections on (as the voltage drops below 5.6 V the power is cut with the protections on, which for Lead Acid is still an ok voltage under load). This is the only downside to account for so far. 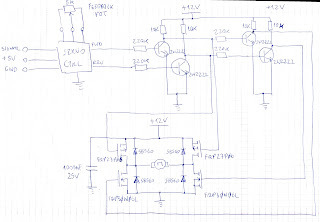 After the control circuit having proven functional and stable, it was time to put together the servo circuit into a board. In spite of no heating having been detected by the finger during operation, still I decided to add a couple of heatsinks to the FETs from the servo control board (the board will be located in a space with limited airflow). The ESC already has a small square heatsink. This was a decent place to put the feedback sensor, as rotation of the steering could be perceived from this point. What I had to do was to drill holes to attach the servo support and dremel a slit through the shaft, so that a mating part in the feedback sensor could fit here. Another thing I had to spend money on were the batteries. I found the original Lead Acid 6 Volt 13 Ah battery to be dead. Also, given the fact that I had to power the steering at 12 Volts, and as the motor and ESC were not rated (or not known to be rated) for 12 Volts, I would still need to have 6 Volts available in the system. So I bought 2 x 6 Volt 12 Ah batteries in a local store, and mounted these in series in the system. For the two Sealed Lead Acid batteries I had to shell out approximately €40. In the background is the wasted original battery (Feber branded, but with an incredibly similar casing construction - almost inclined to guess it is the same manufacturer). The downside of this approach is that the batteries will not discharge evenly, so that series charging cannot be applied. 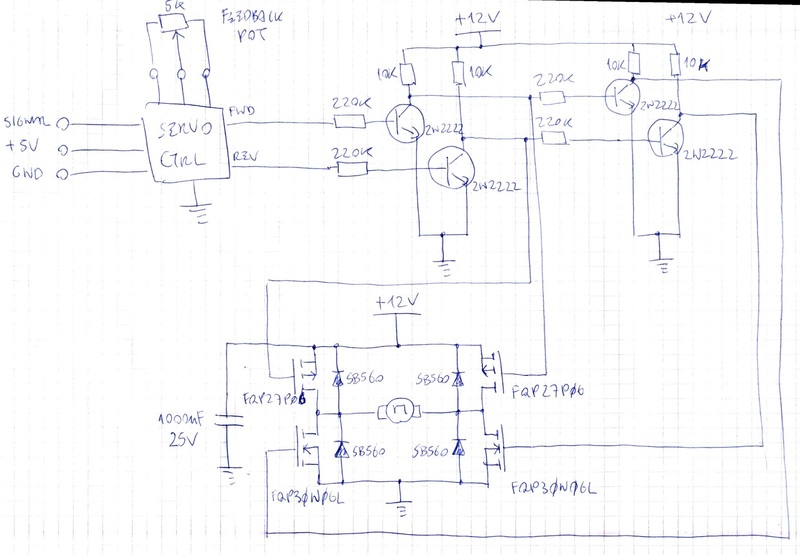 If in the future I replace the ESC I will look for one that can operate at 12 Volts, and supply the entire system with a single voltage. 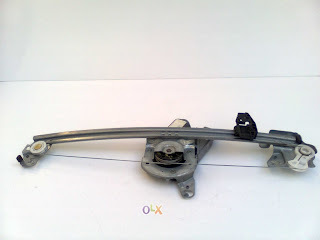 The original plastic steering bar did not allow for toe-in angle adjustment, and it seemed to have to much positive toe. hey, i start my own conversion, i got a question, what do you use to track the position of the steering? I kept the enclosure from the RC servo it belonged to originally and mount it on one of the steering axis.